Coldglaze PRO 2 is the latest version of the highly acclaimed Coldglaze System, used by museums and professional china restorers. It has been specially developed for the reglazing of repairs on china and it cures to a tough, hard finish with excellent non-yellowing qualities. 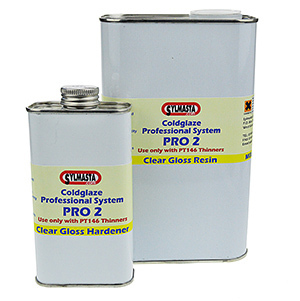 This low temperature glaze is perfectly clear, non-yellowing and has low odour during firing. 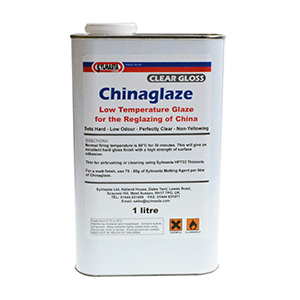 Low Temperature Chinaglaze is normally fired at 80°C (176°F) for just 30 minutes, to give an excellent hard gloss finish with high strength surface adhesion. Also available in White.